View design and photography from my portfolio (PDF). I create effective communication tools for clients, so they can reach their goals. I create original work for my projects including: design, photography, writing, coding, and development. 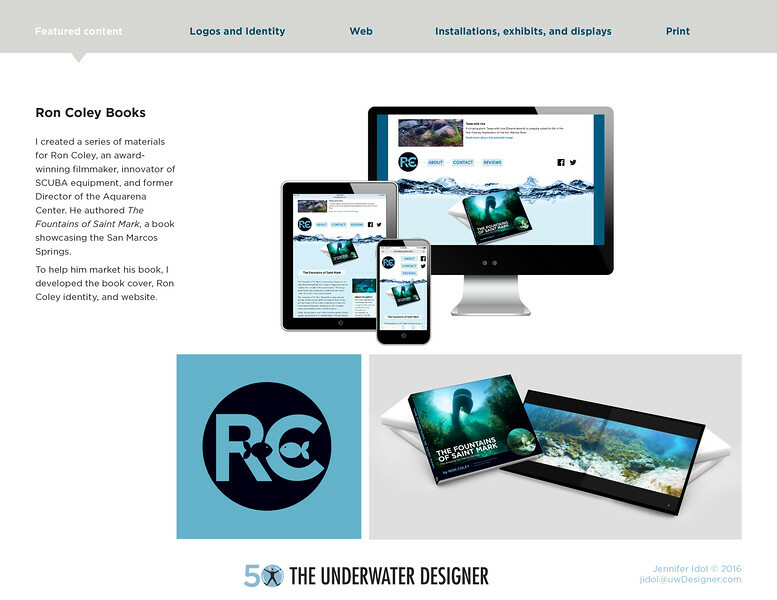 Through my work, I share the underwater realm and communicate the importance of preserving our resources. You need professional communication tools specific to your industry. I provide original work to meet your needs and help you achieve your goals. My range of services includes website design from concept to implementation, photography, print design, logo design, and content editing. Good communication tools can help you establish credibility with your clients and help you define how you are perceived. I'd love to start building a relationship with you today for your business needs. 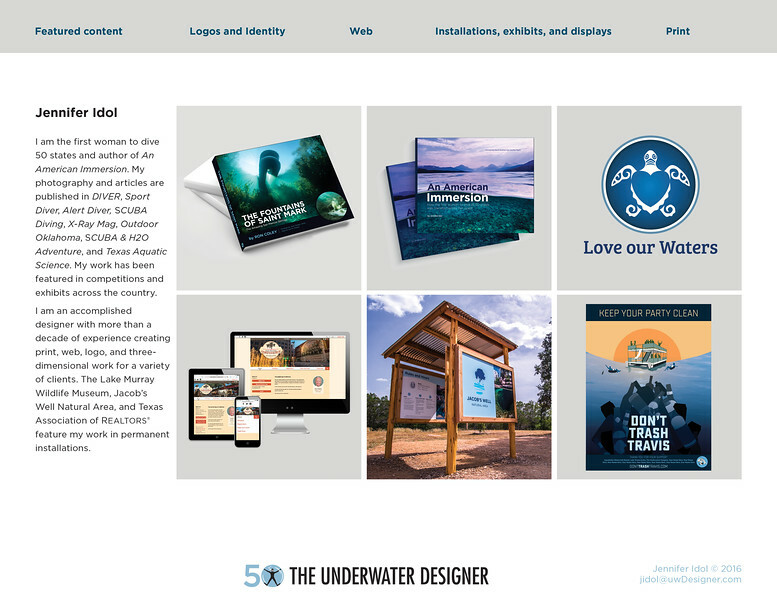 Whether you need a new website to build leads and client relationships, a brochure to communicate who you are, or a logo to establish your business, your marketing tools are an investment. I provide personalized project quotes for your unique projects based on usage, time, and project parameters. This list of minimum service costs helps provide an idea of what to expect for the cost of my services. Each project varies in time, complexity, and usage, so quotes are tailored to your needs. Personal photography sessions typically incur smaller fees, but may include only web resolution digital files. With every photo session, you are able to purchase professionally printed photos online. Fees for commercial photography depend on usage and often include full-resolution digital files. It is important to consider how long each project will take to complete, so I also include a proposed timeline with each quote. Each stage of a project requires your approval before moving forward, so also plan for some time to review your project. It can be surprising how long some projects may take to complete, such as a website, which typically needs two months to a year to fully develop. I understand immediate business needs, and can make suggestions for how to meet those needs while building your long-term needs on a manageable schedule. I'd love to start a conversation with you.